The days around here have been wonderfully sunny and almost too hot. But I just got my beloved bicycle back home, it was been serviced (flat tyre, squeaky noise, loose brakes to mention a few things now taken care of), and oh boy have I been pedalling since! No matter how hot, I've been biking all over the town. 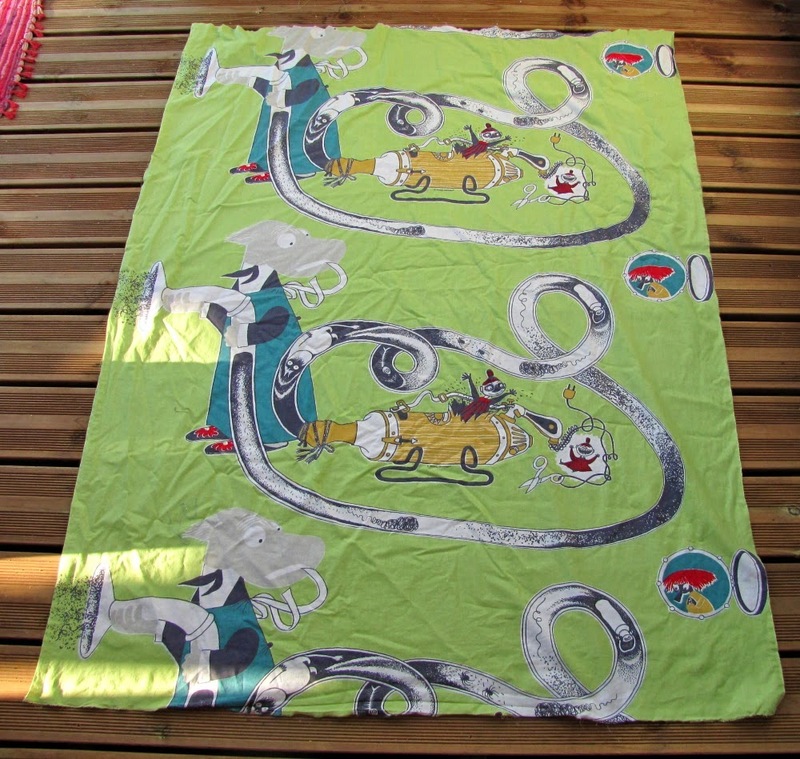 And I also have been visiting a few thrifstores and fleamarkets around here. And what have I been rummaging there? ...You see? 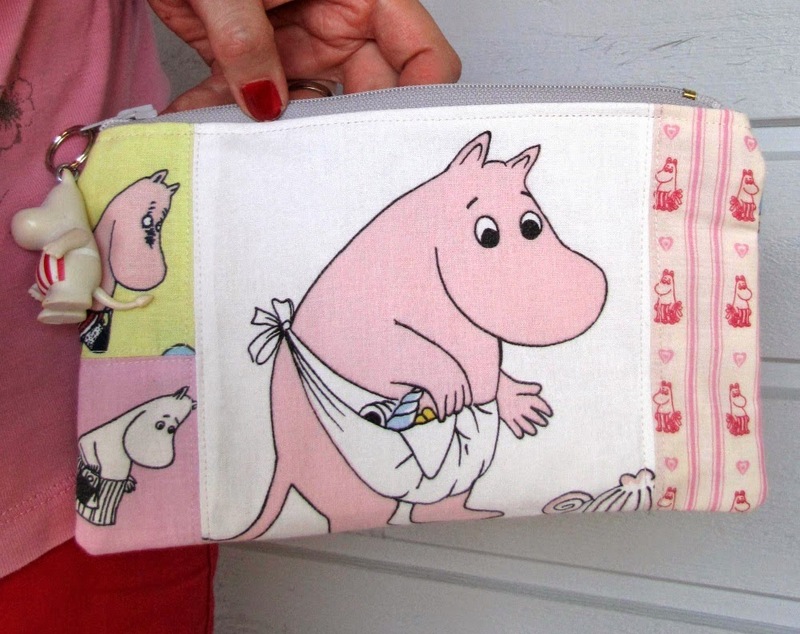 The little green re-cycler in me is bursting with happiness, the big Moomin-lover-me is smiling wide, and my email box is full off happy messages from all over the world from those lovely people who now have their own Moomin-thing. Or two. Or more. More the merrier**! 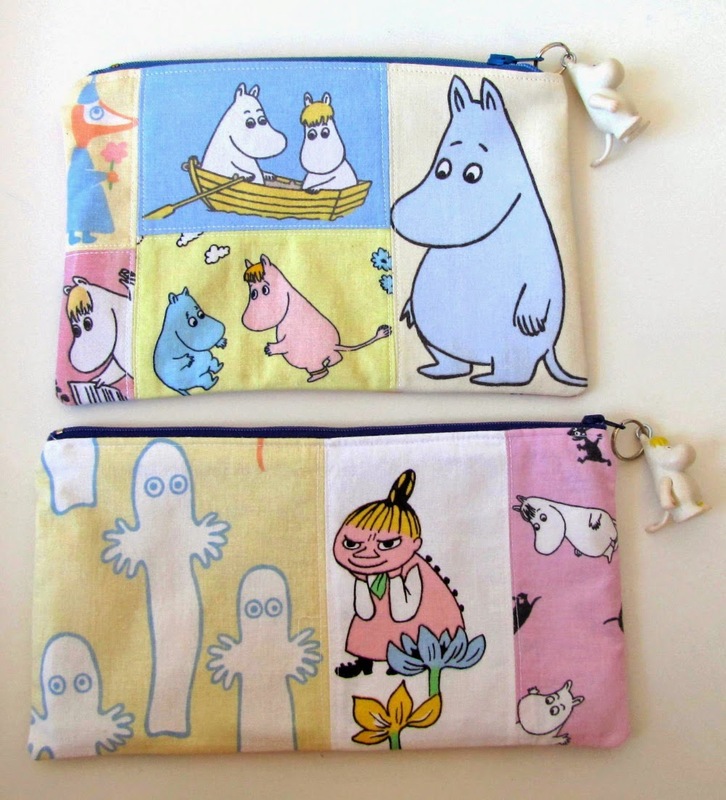 And talking about happy emails, I just got one while writing this post, with links to some pretty Moomin-tablewear, and message was "saw these - thought of you"! Thanks B, you made my day! Wishing you a happy August 1st! *&**My apologizes for using all these slogans and catchphrases, it seems that the heatwave here has melted all my usually highly original words. They'll be back eventually, cross your fingers and hope for the best. Oops, I did it again. A little sad here as I can see the nights starting to draw in and we have rain here at the moment so no sitting out at night with the candles. I'm glad the heat hasn't stopped your inspiration. We have had the most wonderful summer, and it has said (finger crossed etc. :) again) to be continuing loooong this year, but we'll see. Our evenings are still light and hot, so patio has been in good use. I wish your days will be shiny and pretty still! Happy August! 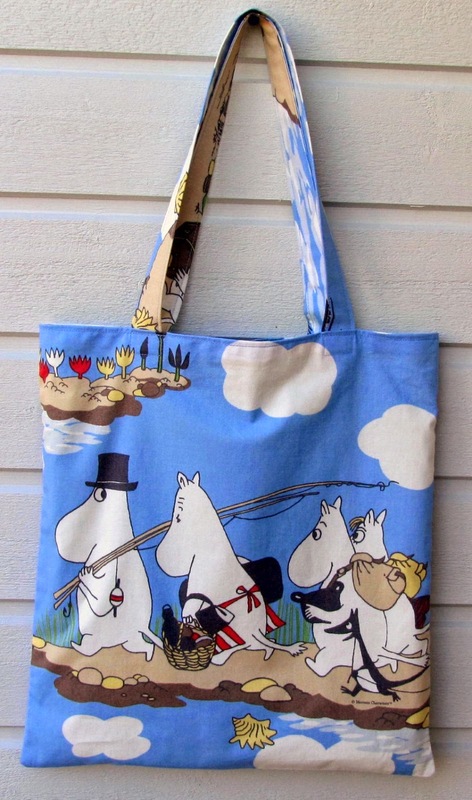 Lots of lovely Moomins and great that you have rescued all those cast aside treasures and turned them into pretty desirable things, well done you clever recycler!!!! And thank you! I am happy to rescue anything that I even remotely think might be pretty when pimped. 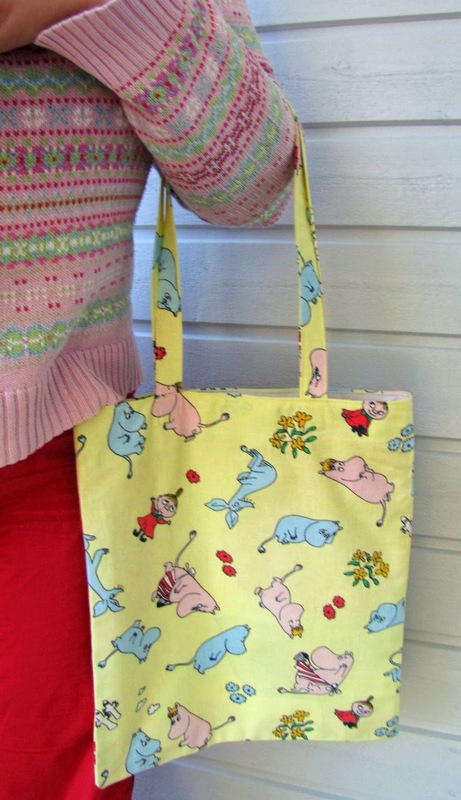 Have a wonderful, sunny and summery weekend! 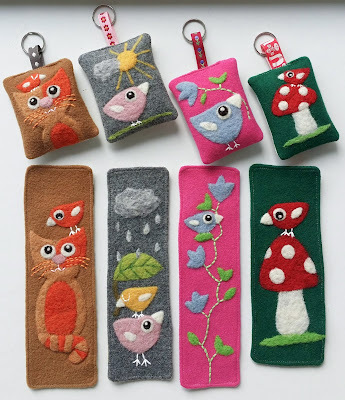 And it seems that we've had similar things in mind: In Jessie's Needles I saw some treasures created from the old fabrics too - fantastic! 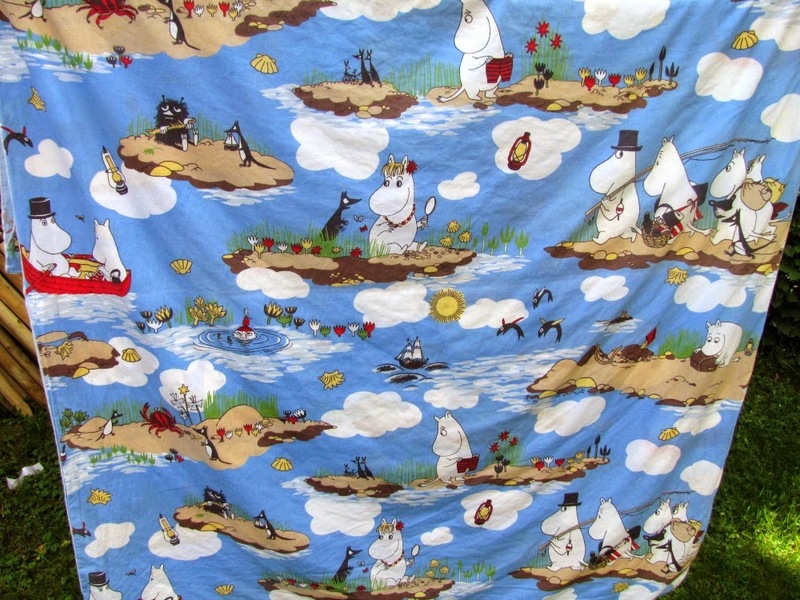 Moomin fabric - what a fantastic find! I am contemplating digging my bike out from the back of the garage, it is time it saw the light of day again!! And oh yes, do take your bike out for a spin, it is lovely! And when it's hot, the speed (well...) feels ever so cooling too! What great finds, Mia. Lucky you. 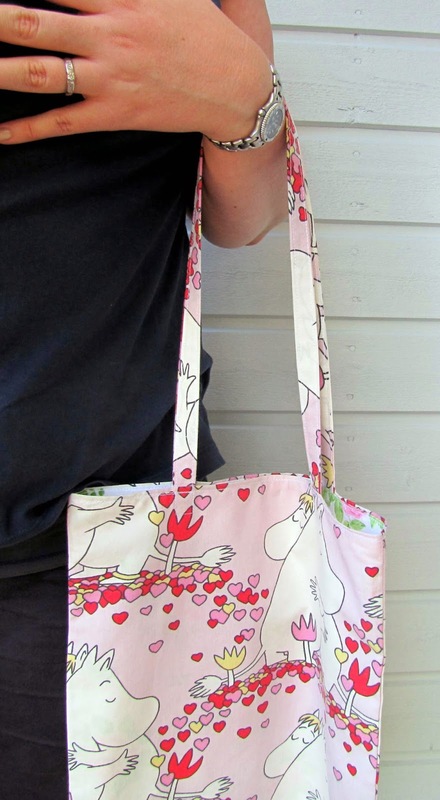 My favorite is the pink hearts fabric. Happy August and here's to sunshine and bicycles. My Favorite bike shop just fixed my tires, too. 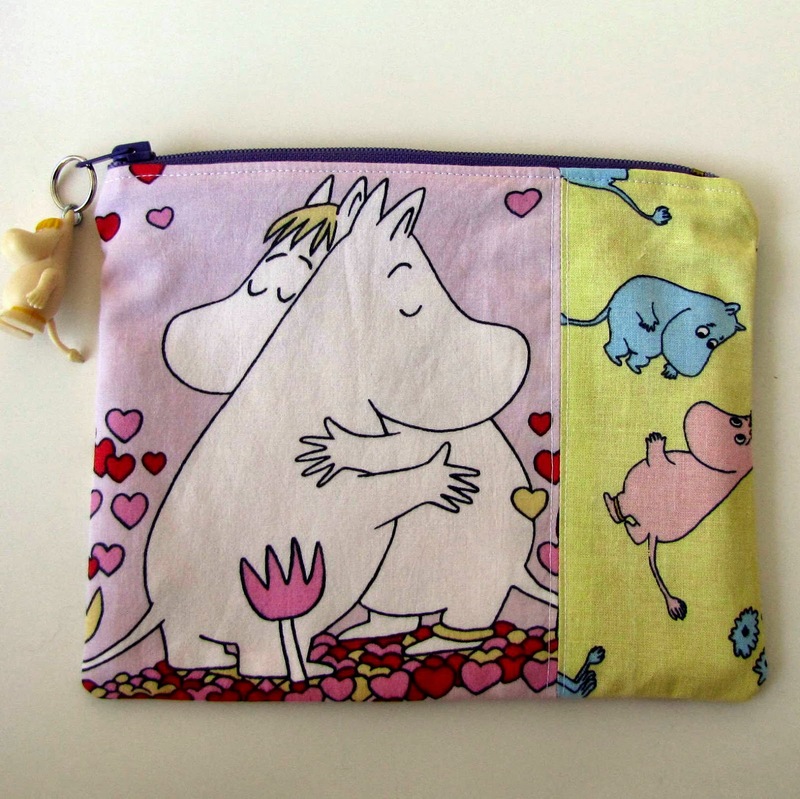 A big kiss for L and S.
I am so happy for these finds, Moomins always make me smile! Biking is my favorite way of getting around always (even winter! ), and in this weather is pure bliss! 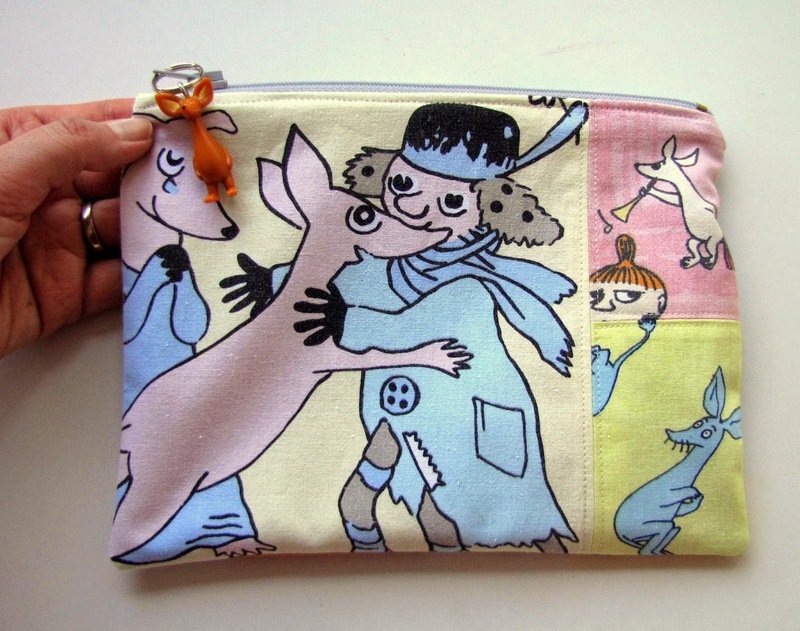 Have a wonderful weekend, dear friend, and big kisses from the wee ones! oh! Fabric love. 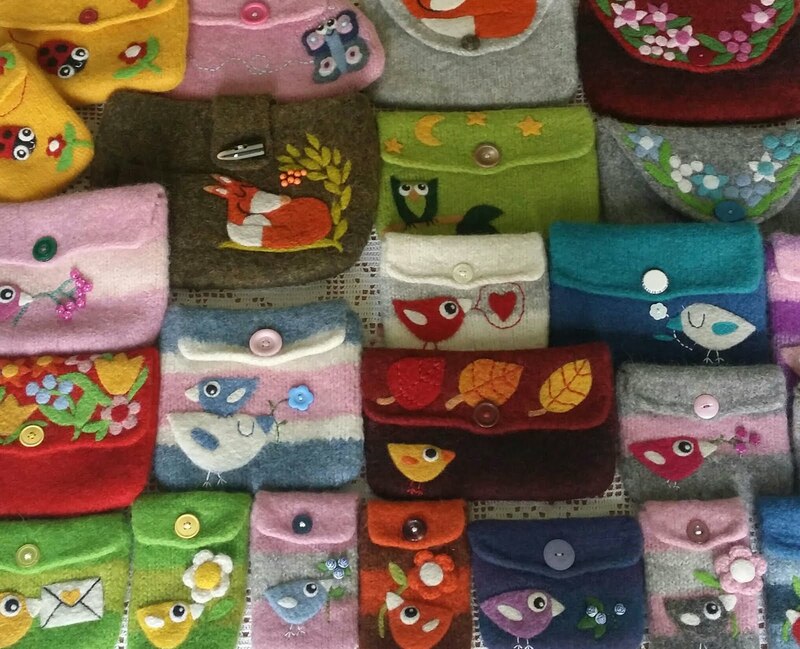 I have not been in Finland since 1997, but would be in a fabric shop there in a jiffy! Happy to have you visiting me here! 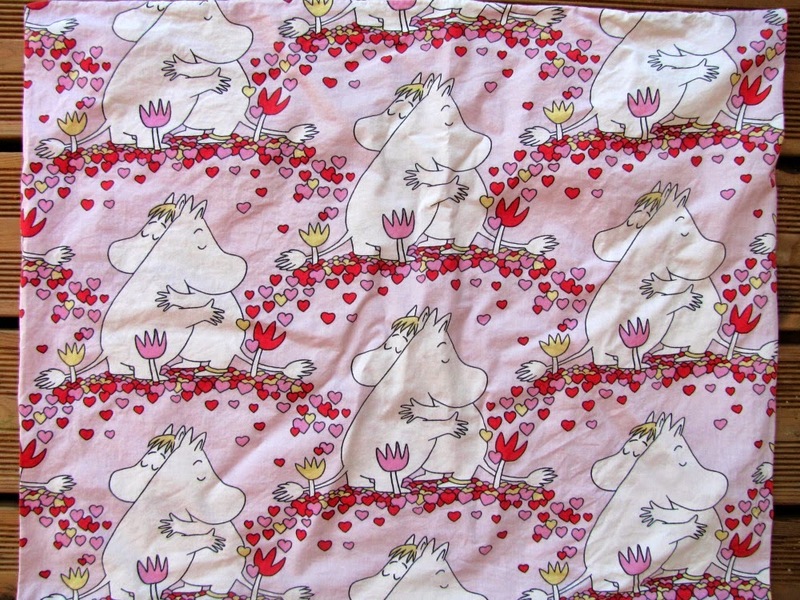 And some of these fabrics are just about around 1997 :) as I am a big fan of those older Moomins-fabrics! 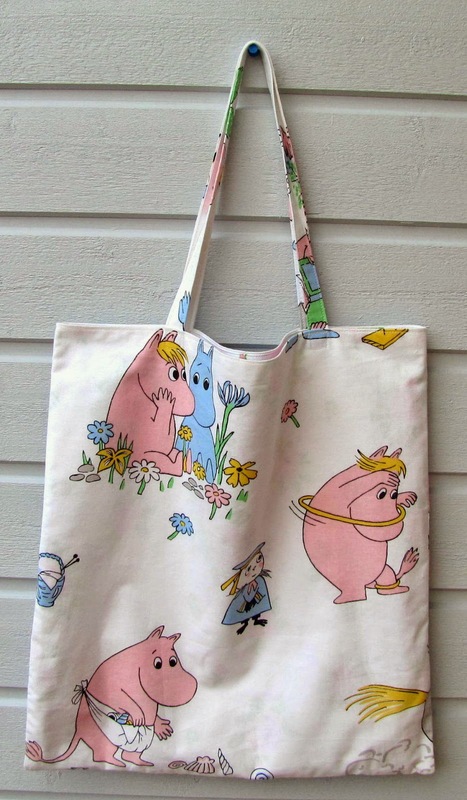 I wish you could visit Finland again one day! It has been sunny and warm-ish here still, not too hot but good. Rain seems to happen during the nights so pretty perfect, actually. I wish you a good autumn!